Jaded Blossom: Join Us for a BBQ! Jamie here, to share a card using the Spotlight this month- King of the BBQ! I used a Card Mat Die to add a few of the Baking Dies with some stickers from the Picnic Ant Sprinkles. 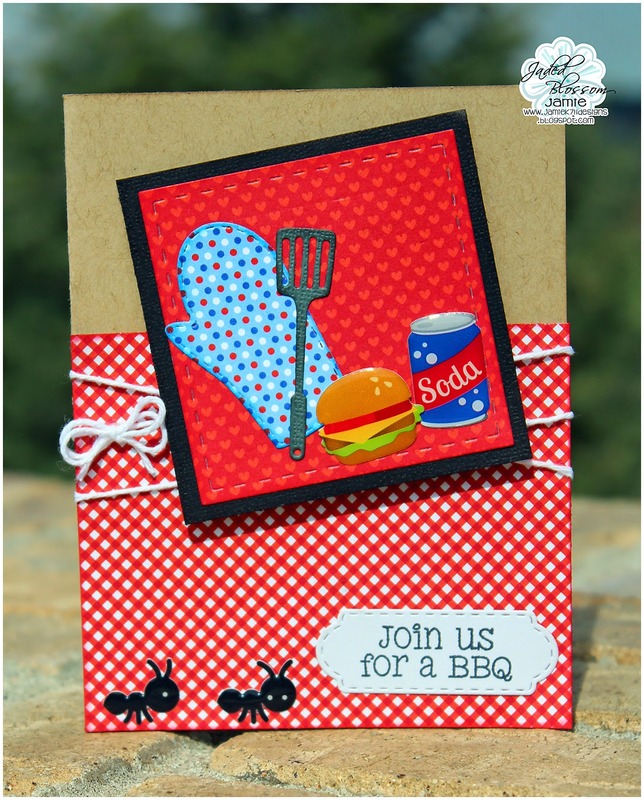 I stamped a sentiment onto a Mini Tag Die 2 from King of the BBQ and had to add a few of these adorable ants! So cute ... I had to tell you again! TOO Cute!! I love the tiny ants! Great card for a summer bbq!